Fox News in America once again show just how cultivated they are when they got a so called “terrorism expert” was giving his perspective on the terror attacks in France. 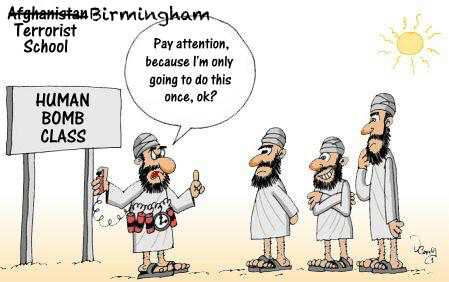 To be fair -Steven Emerson did come out with a few gems “In Britain, it’s not just no-go zones, there are actual cities like Birmingham that are totally Muslim where non-Muslims just simply don’t go in.” There are many reasons not to go to Birmingham…… (some of them still speak funny) – but being over run by Muslim militants – is certainly not one of them. He also made another gaff when he suggested that “London is patrolled by violent religious police”- if he’d of just left out the word “religious” -most of us who live in London – would probably agree that he had a point!!! Anyway – here is that interview….